What is the ProRep Pressure Sprayer used for? Apart from reptiles and amphibians, sprayers are useful in the husbandry of many invertebrates such as stick insects, millipedes and mantids, Although many species don't need constantly high humidity levels, they will benefit from regular sprays which can stimulate natural drinking behaviour and improve skin condition and aid shedding. The Hand Sprayer is trigger-operated and is ideal for frequent misting of smaller tanks or terrariums. The Pressure Sprayer is designed for keepers with more demanding needs. Using the plunger, the reservoir is pressurized to allow extended periods of spraying. 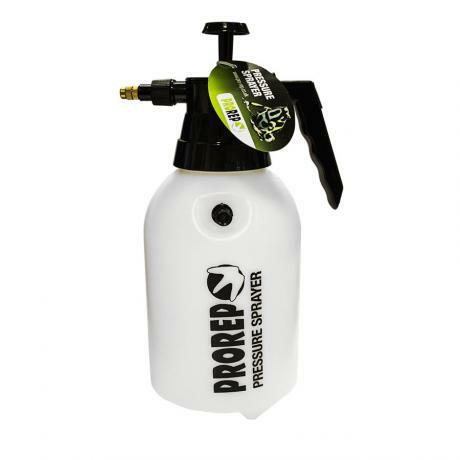 The Large Pressure Sprayer has a 1.5 Litre reservoir allowing more sustained use and also has a lockable trigger. The adjustable quality brass spray nozzle allows a full range of droplet sizes from a coarse spray to a fine mist to be achieved.